Many years ago I participated in a yahoo email group with some amazing women. Amy Blevins, creator and owner of Homeschool Copywork is one of those amazing women. Amy has a heart and passion for homeschooling. Amy is also a former Schoolhouse Review Crew member so I was tickled when I found out that Amy was offering her Lifetime Membership to crew members for review. Copywork is a very old method of teaching grammar, punctuation, spelling, vocabulary, and penmanship. Copywork can be a stepping stone for young children to help them transition to dictation. Amy has a page dedicated to talking about what copywork is and the benefits of copywork. 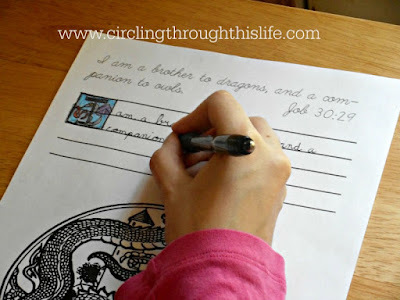 One of the things I hadn't thought about but that she points out is that copywork is a great way to influence your child's thinking by putting great quotes and carefully chosen scripture verses in their copywork. Copywork can also be a creative outlook by drawing or coloring images on the page and by practicing more artistic styles of penmanship. 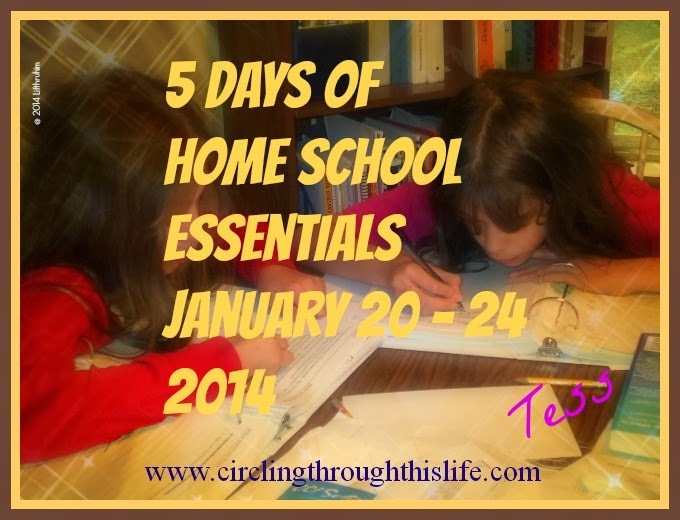 Through Homeschool Copywork, Amy offers three levels of membership: Free, Full, and Lifetime! The Free Level of membership gives you access to a limited number of copywork and Charlotte Mason resources. The Full Membership is valid for one year and includes full access to all membership areas. We were given the Lifetime Membership which includes all the free resources and access to all of the paid membership areas plus any and all bonus items. Lifetime Membership is valid for as long as Homeschool Copywork exists. This is an excellent value as Amy continues to add resources to the membership area and currently there are 54 ebooks! Once you become a member and log in you'll find that Amy has organized the member area to make it easier to find just what you need. I can click on any of the tabs to choose a category and see what is available or I can scan through the list of active ebooks. Bonus Products ~ which include items such as Transportation Notebooking pages! Junior High-High School Copywork ~ Authors, Poets, Scripture, and more! Each of my three girls still at home are using different copywork resources. Supergirl is using the My Animal Alphabet Copywork Pages to practice coloring and printing. We'll be using the various composer copywork pages as we study the composers in our music appreciation course. 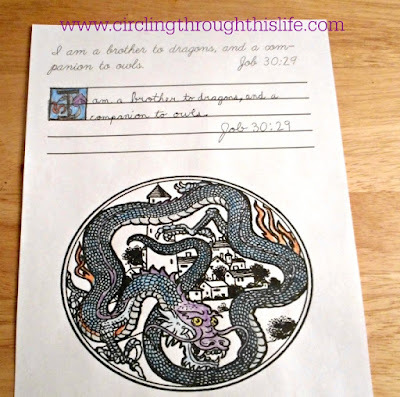 Turtlegirl is using the the Dragons of the Bible as a form of artistic expression. She works on a page to relax and be creative. She chose to use the illumination technique she learned. She also is planning to make use of the Emily Dickinson and Lewis Carroll Copywork pages because she loves poetry. Tailorbear has been studying poetry in her English class so she choose Winds of Play: Quotes from Elizabeth Barrett Browning for Copywork. She is less enthused than her sister but I think she is benefiting from the extra penmanship and the beauty of the quotes! 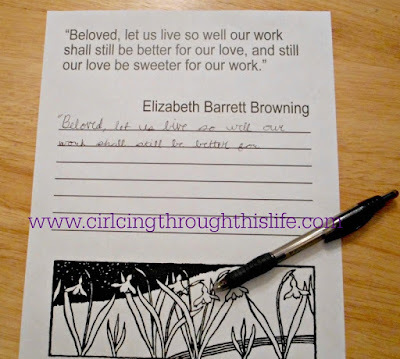 These copywork resources are not just quotes or poems or scripture to copy. 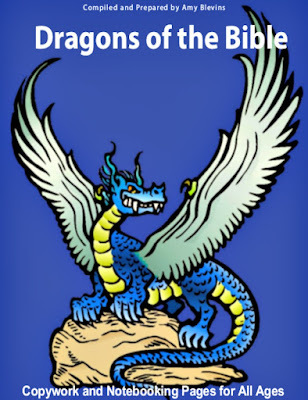 Some of these e-books include biographies and activities. Many include notebooking pages or pages for coloring! 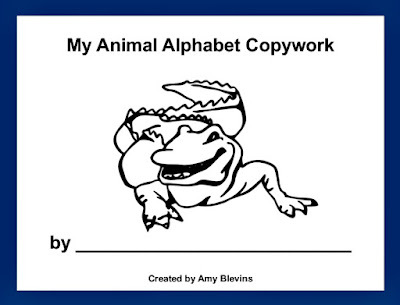 This is a treasure trove of goodies for those who use copywork and notebooking in their home schools! Unsure about whether you want to jump into a Lifetime Membership? Start with a Free Membership to see the quality of the compilations Amy has done and when you're hooked and wanting more you can purchase a paid membership!